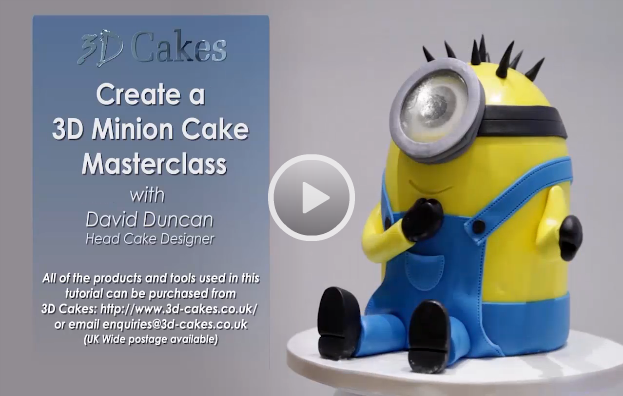 This video tutorial includes easy to follow step-by-step instructions on how to correctly cut and shape your Minion, stabilise a 3D sculpture cake, and icing/finishing techniques. Tips and suggestions throughout on how to correctly use cake decorating tools. Includes introduction to blown sugar with the Minion goggle. Contains full list of ingredients and tools required.